When is the “Right Time” to Settle Your Case? 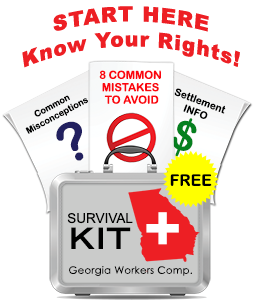 Perhaps no other element of a workers compensation case gives rise to as many questions as the subject of when and how to settle your case. In my opinion the timing of settlement negotiations can greatly influence the outcome of your case. Settle too soon and you may end up paying out of pocket for expensive medical services. Wait too late and your case can grow stale if the insurance company can calculate with certainty its exposure on your case. Generally the best time to settle your case is when significant uncertainty remains regarding your future medical and lost wage eligibility. Remember – insurance companies are in the business of risk management. If we can show them that your future medical costs could soar into the tens of thousand and that your return to full duty work could be far into the future, they will be more likely to offer more money to eliminate that risk. I tell my clients that identifying that “sweet spot” is more art than science. Sometimes a single line in a medical record, or a brief comment from my client will tell me that we are entering the zone where my client’s medical condition is stabilizing but enough unknowns remain for me to put forth a settlement demand that will result in a fair and generous settlement.